4) Mix the rice flour in 2 tablespoons of water and keep it ready. Gosh!!! This is so good. My fav because I adore tangy spicy flavors too much that its difficult to give up. Moreover I am a typical Asian food lover. 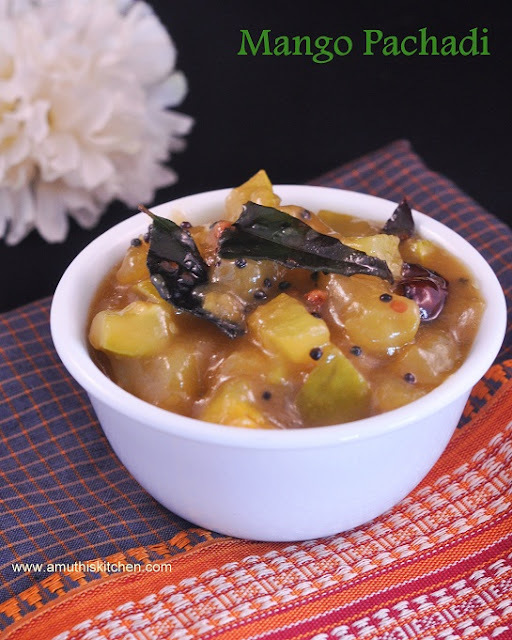 Its been some time since I made mango pachadi and I would love to try out your amazing version.